Colchester and Clacton–based solicitors, Thompson Smith and Puxon (TSP), are pleased to announce the appointment of Aileen Hirst to the Wills and Estates team. 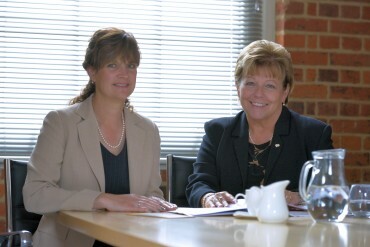 Aileen will be based at the firm’s Colchester office. Aileen started her career as a city foreign exchange dealer but following a break to raise her children decided that a career in the Law was for her. She completed her Law Degree at the University of Essex before passing her Legal Practice Course with distinction at Anglia Ruskin University. Since her qualification in January 2011 Aileen has worked on a broad range of private client matters and will advise TSP’s clients on their wills, lasting powers of attorney, trusts and estate administration. In particular, as a qualified member of Society of Trust and Estate Practitioner’s (STEP) , she will advise the firm’s clients on trusts and estate planning. STEP members help families to plan for their long term financial future, providing expert advice on how to comply with the often complex law and tax rules surrounding trusts, estates and inheritance. The TSP Wills and Estates team provides a friendly and professional service and is conscious of the fact that in many instances clients will be going through a very difficult and distressing time when they first come to see us. The team can, if need be, offer home, care home or hospital visits for those unable to travel to our offices. The team have prepared a guide to “Planning Ahead” – a comprehensive guide to all areas of Wills and Estates advice. A PDF copy of the guide can be downloaded by clicking here.